Encaustic painting uses beeswax as its medium. Beeswax is probably the oldest known pigment binder, and the technique of Encaustic goes back to the Ancient Greeks where beeswax, resin and pigments were used to paint warships. The Greeks also perfected the technique for both easel painting and fully dimensional coatings for clay and marble sculptures. Encaustic has seen a revival in recent years, both for its ancient appeal as well as its adaptability to modern techniques. The technique requires the melting of the wax and resin, the addition of pigment to achieve the desired color, applying the paint while hot and then fusing each layer. Variations of formula, application and heat give the artist freedom. No other medium allows such tremendous textural possibilities. We give two basic recipes, one recipe combining beeswax and resin, and a second recipe combining beeswax with hard Carnauba wax. For a wonderful introduction to the world of Encaustic Painting, we recommend the book, EMBRACING ENCAUSTIC by Linda and William Womak - available where fine books are sold. A leading encaustic paint manufacturer consistently uses a ratio of 4.5 parts beeswax to 1 part dammar. This would be considered at the top end of the range by most artists, producing a hard paint. An average among many working artists is a standard ratio of 6 parts beeswax to 1 part dammar. AMIEN (Art Materials Information & Education Network) hosted by the Intermuseum Conservation Association, recommend a ratio of no higher than 1 part dammar to 10 parts beeswax, citing evidence that dammar is brittle and can yellow over time. 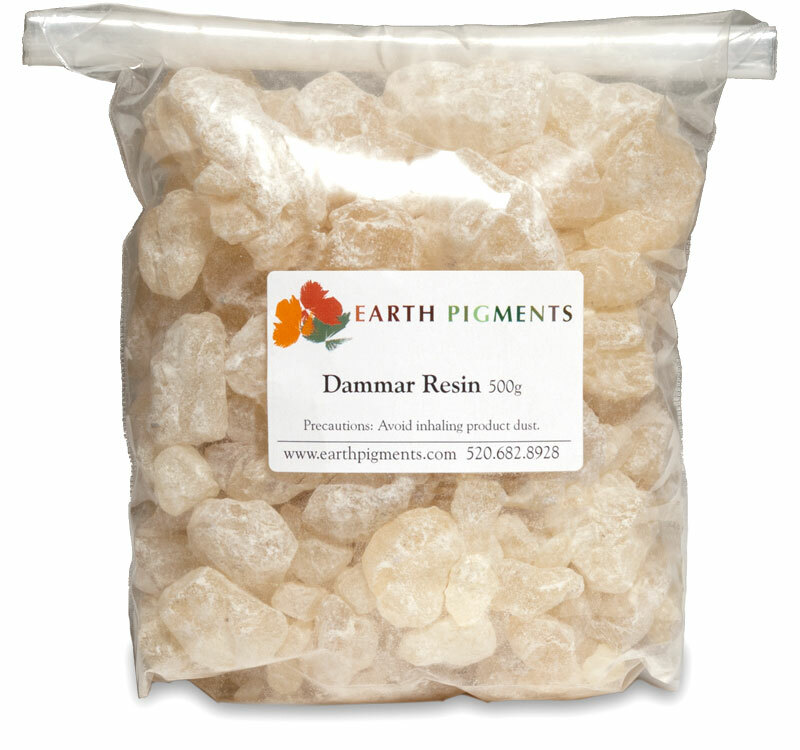 Carnauba wax is used by some artists for hardening in place of the dammar. This differs from microcyrstalline wax that is added as a plasticizer. As the recipe for encaustic differs, so too does the method for mixing dry pigments into your created medium. It depends upon how you as an artist prefer to work. Some people will use a smaller shallower molds to create individual colors. Other people prefer to mix as they work, dipping their brush into the melted wax, then directly into the pigment powder, mixing it thoroughly with the brush. How much pigment will be used depends upon several factors. As frustrating as it may be, there is no set information on this ratio. The amount can depend upon which pigment is used, and the desired outcome of color and opacity. All of our pigments here at The Earth Pigments Company are suitable and safe for encaustic use. Please refer to our page Safety Guidelines for more information on handling pigments in your recipes.